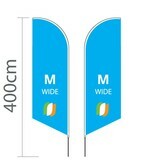 This beach flag Angled M is extra wide and is more noticeable. 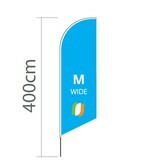 The bottom of the beach flag is bevelled. 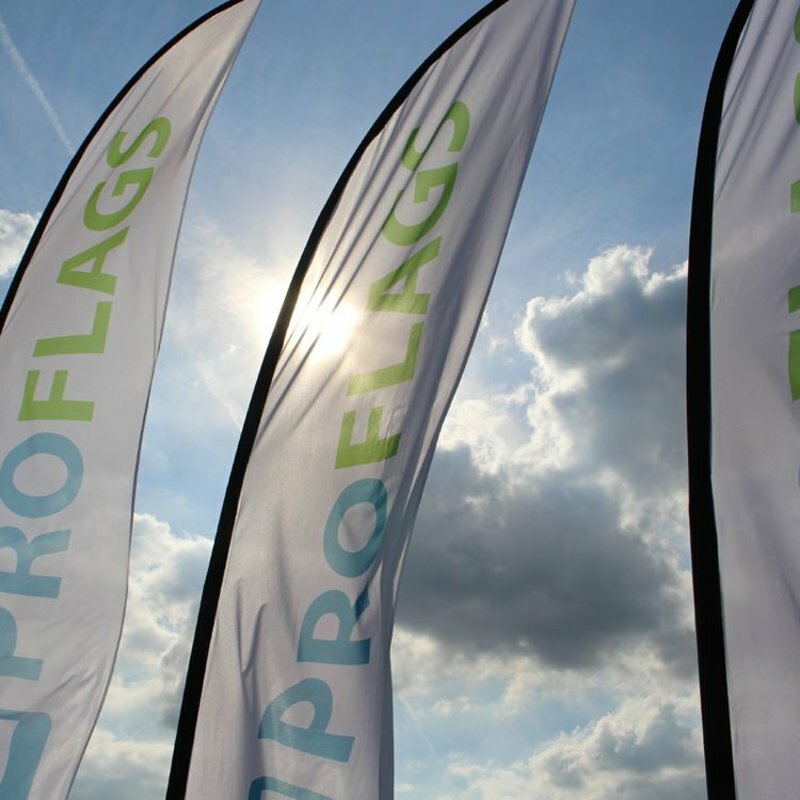 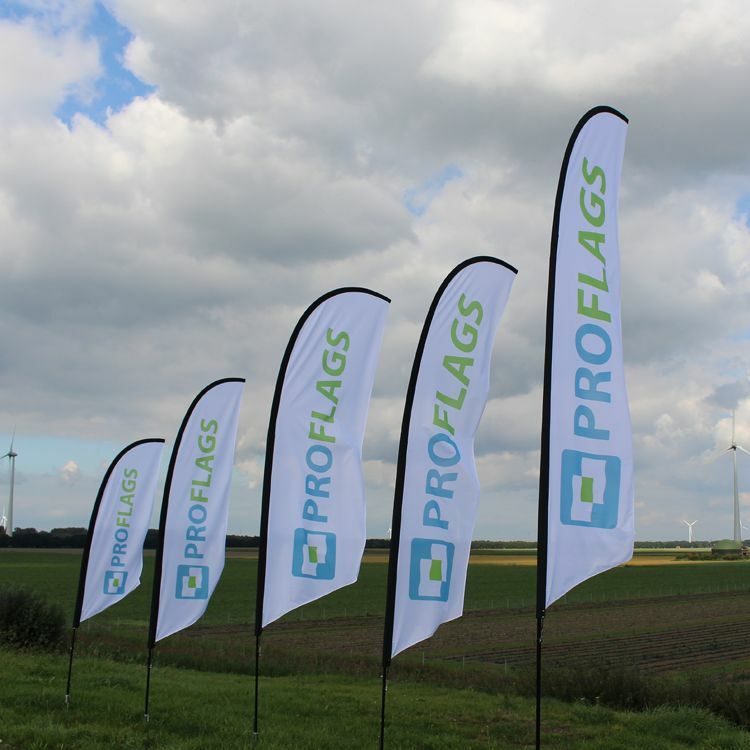 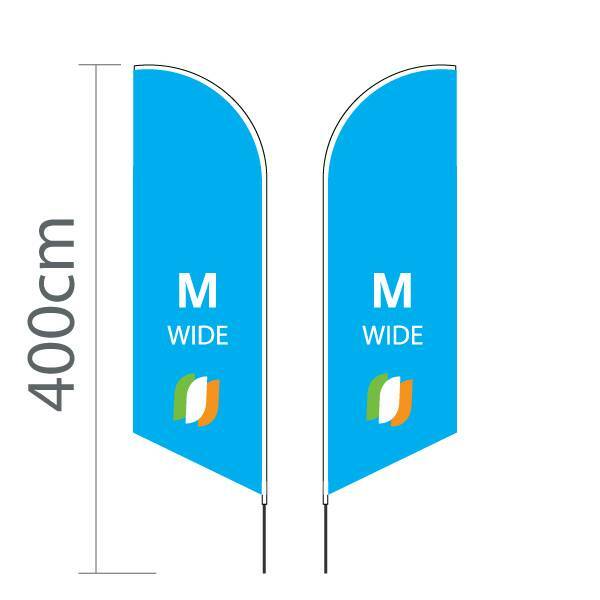 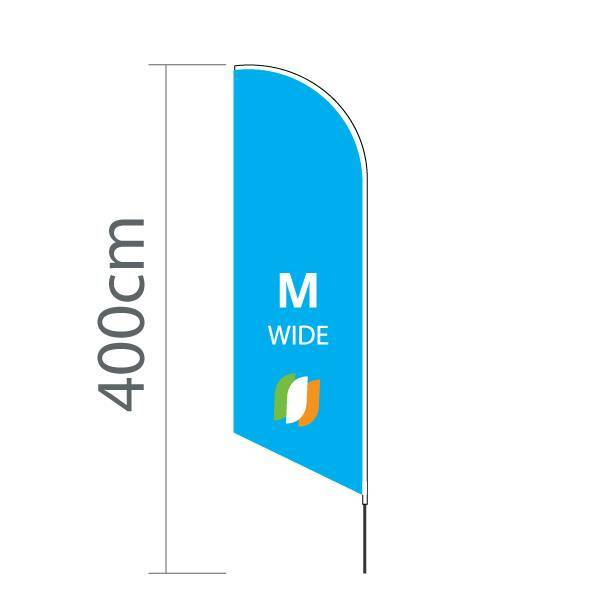 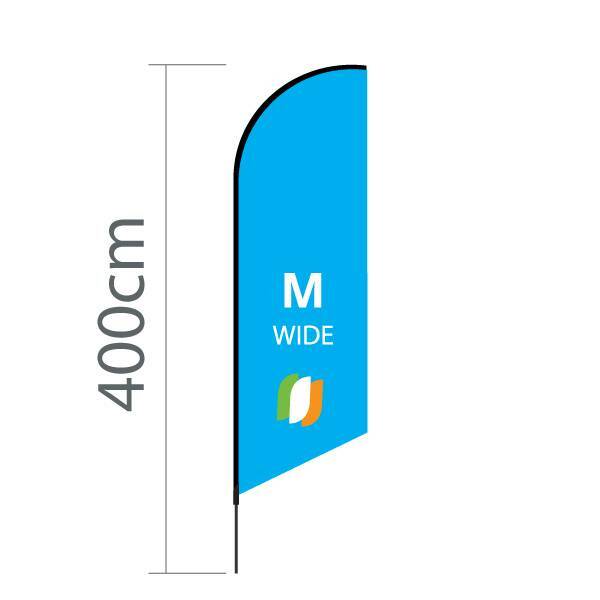 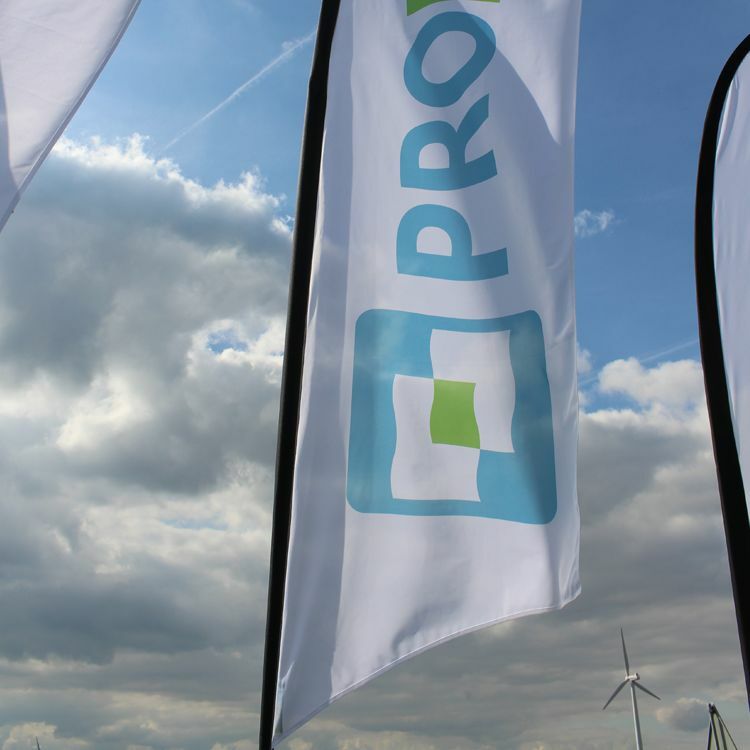 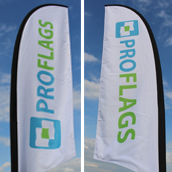 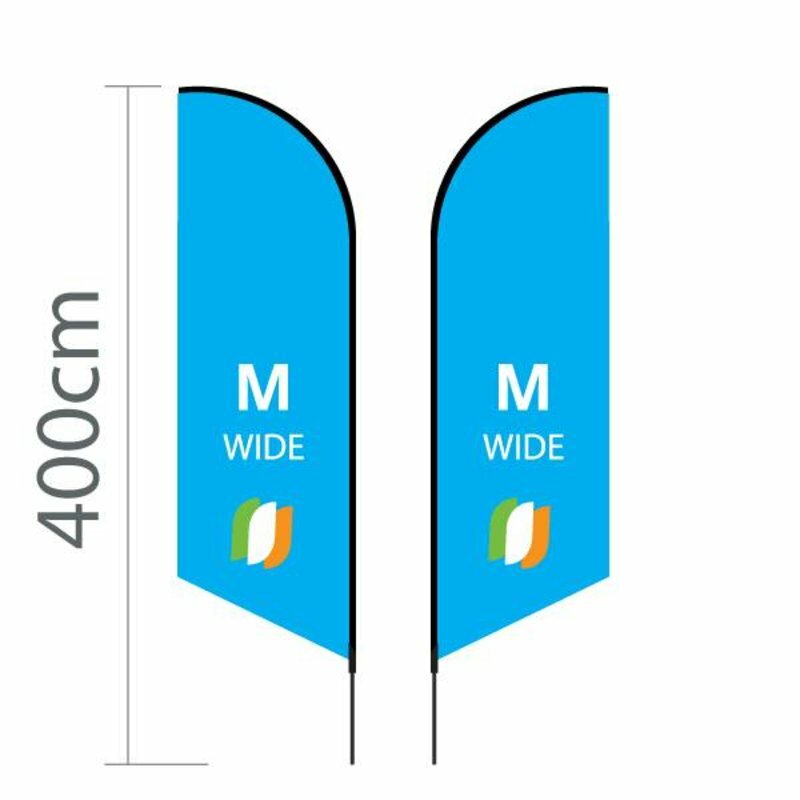 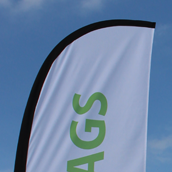 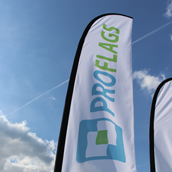 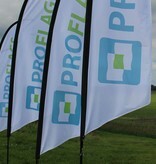 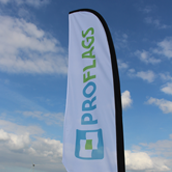 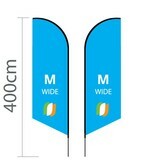 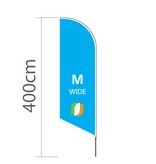 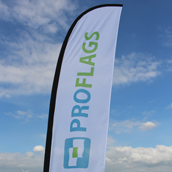 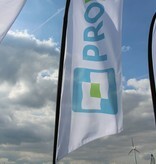 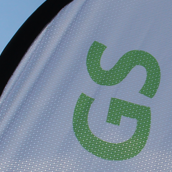 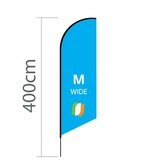 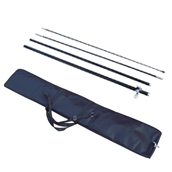 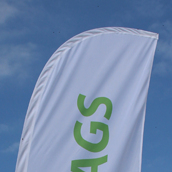 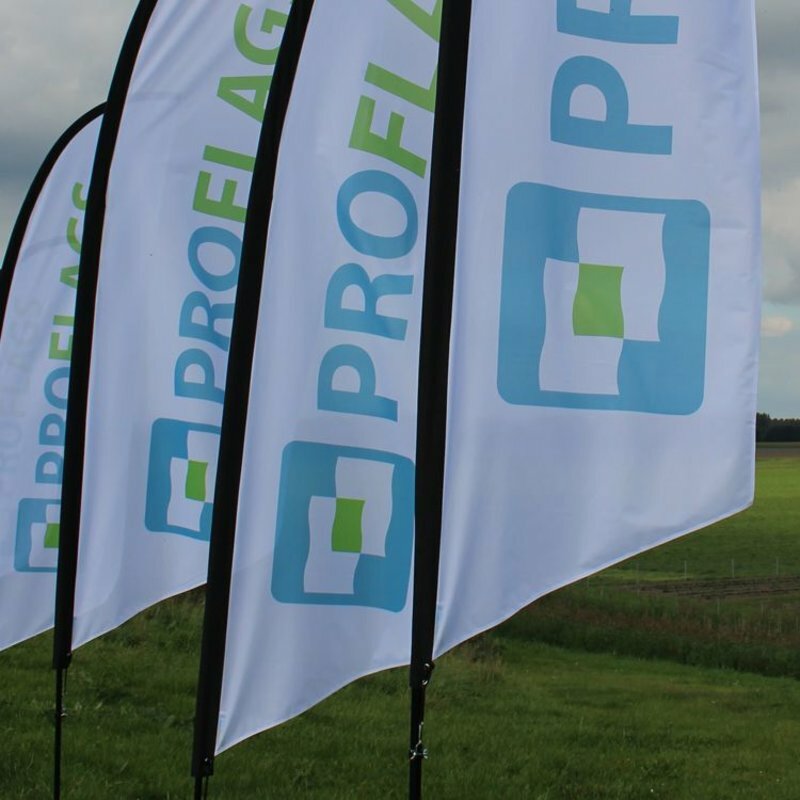 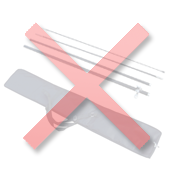 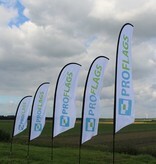 If you only want to have your company logo on the beach flag Angled M - Extra Wide please send it to us (.AI, .EPS file). 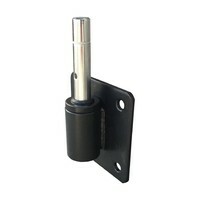 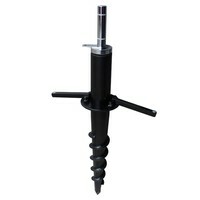 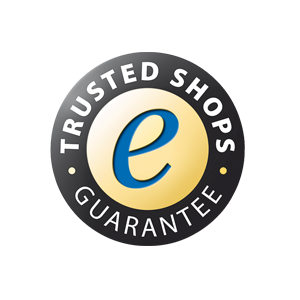 We provide a digital example for you for free!